Patina is the new drawing app for Mac users. It was released on Dec 3, and has quickly risen to the top charts. At one and a half weeks into its release, it is still top-rated in the graphics category in the app store. I’ve learned that not only is this an app that I have wanted for Mac for a while, but that I also cannot draw. At least I have other talents. Patina has all the basic options that you would need from a drawing program. It isn’t complicated at all. 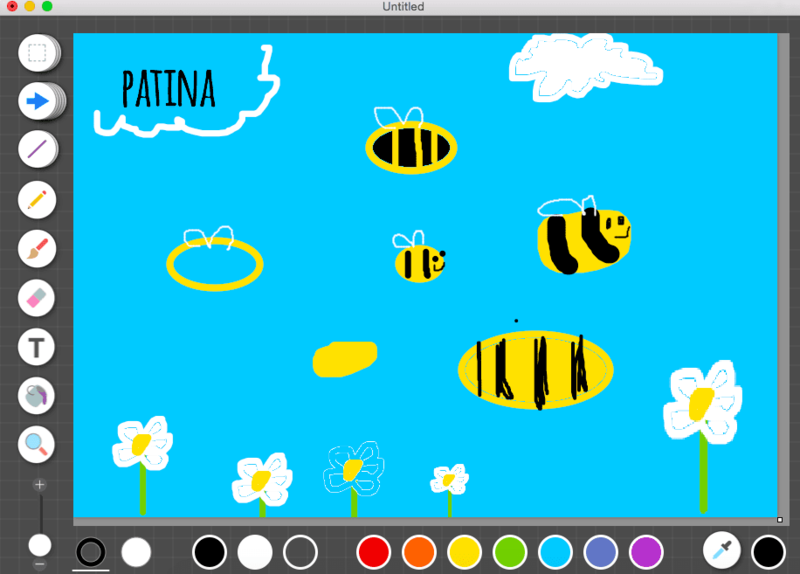 It compares itself to Microsoft’s Paint, which is the easiest program to use for editing something quickly. Not only that, but it is stylish and fits into the Mac OS nicely. It’s obvious that I’m not a graphic design major, but it’s nice to be able to open an app and be able to make something fast. It would be great for kids to just be able to make a quick doodle on their screen. My favorite thing about Patina is the transparent image saving. I occasionally make websites, and more than once I have tried to make a transparent logo for the website only to inevitably get frustrated and give up. Patina makes it easy. I have only two complaints – one, that I wish there was an easier resize window option. I have an 11-inch MacBook air, and the bottom of the Patina window cuts behind the Mac dock. It’s not a functionality issue, so if that’s the biggest problem it has, I’ll take it. The second is regarding using the paint bucket to fill in a selection – there is a pixel layer separating the fill from the outline. It’s an easy enough fix to zoom in and draw over it. Priced at only $2.99 (which is only really 1-2 cups of coffee) this app is worth the money. Just make sure not to judge the app based on my terrible drawing skills!